1. A woman has been diagnosed with a type of hearing loss which means she can't hear the voices of men - only women. The patient, who has only been identified by her surname, Chen, woke up to find she was unable to hear her boyfriend. Ms Chen, from the city Xiamen, on the east coast of China, went straight to hospital. Doctors tried to figure out her bizarre symptoms, which were the opposite to more common forms of hearing loss, according to local reports. A specialist diagnosed her with reverse-slope hearing loss, in which she could only hear high frequencies. Have you ever heard of anyone with this condition? 2. 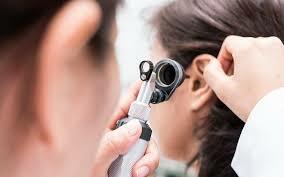 Reverse-slope hearing loss, is a rare condition that affects only about 3,000 people in the US and Canada combined, according to Thigpen Hearing Center. 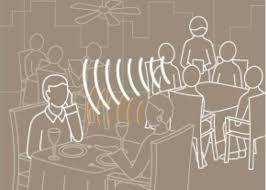 Reverse-slope hearing loss occurs when a person can't hear low-pitch noises. The condition also affects how well a person can hear vowels, since vowel sounds tend to have more low-pitch energy compared to consonants and contribute more to our sense of loudness, while high-pitched consonants contribute more to speech clarity and distinguishing between one word and another. It can be caused by a number of factors -- a particular gene might cause certain hair cells to never develop in utero, it can also be the result of another ear condition, like Meniere's disease, which affects the fluid surrounding the hair cells, or a person can develop the disorder suddenly, like Chen did. A sudden development could have to do with a viral infection, but sometimes the cause remains unknown. There are some treatments for reverse-slope hearing loss, but people who inherited the condition genetically can't be treated. Do you know anyone who has a rare medical condition such as this? 3. Have you ever heard about any of these extremely rare medical conditions? 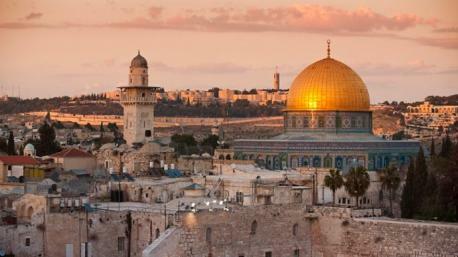 Jerusalem Syndrome -- This very real condition occurs when a visit to the Holy Land triggers obsessive ideas about religion and even messianic delusions. The condition can affect anyone, regardless of religion. Symptoms may include compulsive cleaning and grooming, wearing white robes, and sermonizing. Sufferers without a pre-existing psychiatric condition typically return to normal within five to seven days, feel some shame about their behavior, and recover completely. Walking Corpse Syndrome -- Also known as Cotard's Syndrome, it is a neuropsychiatric disorder in which a person believes they are dead or missing their soul, organs, blood, or certain body parts. Cotard's has been recognized as a component of psychiatric illness, such as depression, but neuroimaging has also linked some cases of Cotard's to neurological changes. Because the condition is so rare, it has been difficult to pinpoint the mechanisms that cause it. Foreign Accent Syndrome -- This rare condition causes people to develop a foreign accent. The disorder is caused by damage to a part of the brain associated with speech. Stroke is the most common cause, but trauma, tumors, and other neurological conditions such as multiple sclerosis may also cause patients to begin speaking with a different accent. . Speech therapy may help, but symptoms can last years or become permanent. Jumping Frenchmen of Maine -- This condition is named after a group of French-Canadian lumberjacks who worked in Northern Maine in the 1870s. Also known as hyperekplexia, it involves an extreme reaction to stimuli that causes uncontrollable jumps and startle-induced falls. Most people first experience symptoms right after birth – a condition referred to as "stiff baby syndrome." The syndrome can often be effectively treated with benzodiazepines, a drug class used to treat anxiety and seizures by slowing down the nervous system. Dr. Strangelove Syndrome -- Named after the title character in the classic 1964 film, this condition involves uncontrollable hand or limb movement. The condition is also referred to as Alien Hand Syndrome (AHS). From time to time, when the other hand is engaged, the affected hand may hop in and try to interfere with that hand or do something counter to it. AHS is usually the result of a tumor, stroke, or surgery that affects the corpus callosum, which connects the brain's two hemispheres. Damage to the right hemisphere impacts the left hand and vice versa because one side of the brain controls movement on the body's opposite side. 4. How about this next set? Alice in Wonderland Syndrome -- In Lewis Carroll's 1865 fantasy novel "Alice's Adventures in Wonderland," the main character experiences magical transformations, such as shrinking and expanding. This neurological syndrome, also called Todd's Syndrome, usually presents migraines that distort perception of size and distance. Episodes, which can last up to an hour, involve seeing objects or people as very big, very small, or further away than they actually are. Patients can also experience hallucinations, as well as an inaccurate sense of time passing very slowly or quickly. The syndrome typically affects young children and can occur at the onset of sleep. Human Werewolf Syndrome -- Not even laser hair removal can permanently control excessive hair growth caused by this genetic disorder. Known as cognital hypertrichosis lanuginose, the condition is caused by a rare genetic mutation and affects people regardless of gender or age. Hair growth may occur all over the body or just in some areas. Fish Odor Syndrome -- This inherited metabolic disorder is triggered by an enzyme deficiency that prevents the breakdown of trimethylamine (TMA), a chemical byproduct of protein digestion responsible for the offensive smell associated with decaying fish. As a result, a fishy odor is detected in the urine, sweat, and breath. There is no cure, but symptoms may be reduced with a TMA-free diet that avoids legumes, peanuts, eggs, and certain kinds of fish and meat. Exploding Head Syndrome -- Imagine hallucinatory sounds like gunshots, cymbals, or explosions going off in your head as you try to sleep. Even though it does not cause physical pain or swelling, the symptoms are alarming and disruptive. The condition is likely brought on by insomnia, general sleep disruption, and certain types of anxiety. Just educating patients about the condition and reassuring them that it's not dangerous can lead to a reduction of episodes in some cases.